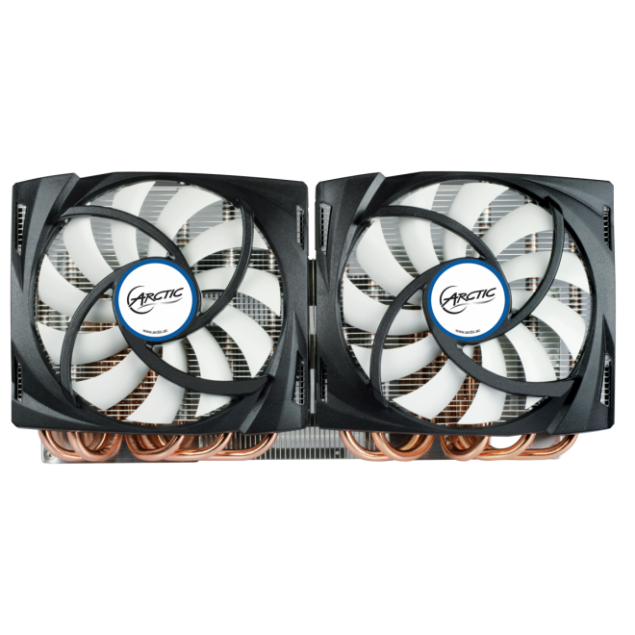 ARCTIC Cooling, the leading supplier of hardware cooling products has today announced its latest Accelero Twin Turbo 690 VGA cooler which is compatible with the GeForce GTX 690 graphics card. Since the GTX 690 is a dual chip GPU, the heatsink utilizes two copper bases each of which is placed on top of the Kepler chip. The heat is dissipated to a thick aluminum heatsink array with the help of ten 6mm heatpipes (5 on each base) which are supplied air through two 120mm PWM controlled fans. 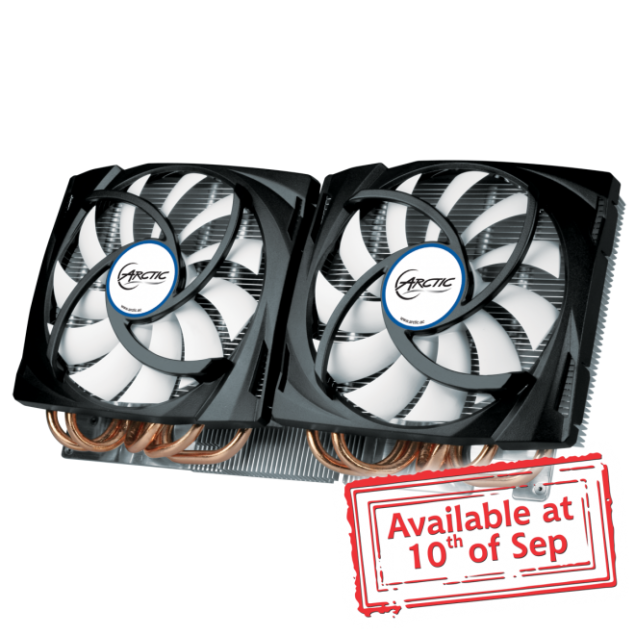 Both fans operate at 400 – 1,500 RPM with noise levels of 0.4 Sone. 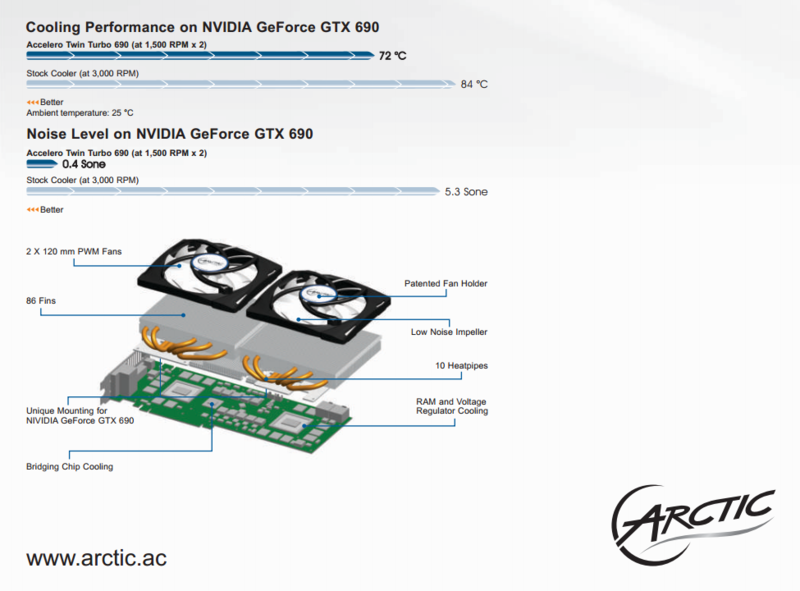 ARCTIC’s Accelero Twin Turbo 690 delivers 400W of cooling performance to the GTX 690 which is much needed for dual GPU’s on that behemoth card. The dimensions of the heatsink are 288 (L) x 138 (W) x 50 (H) mm and weighs at a total 805g. 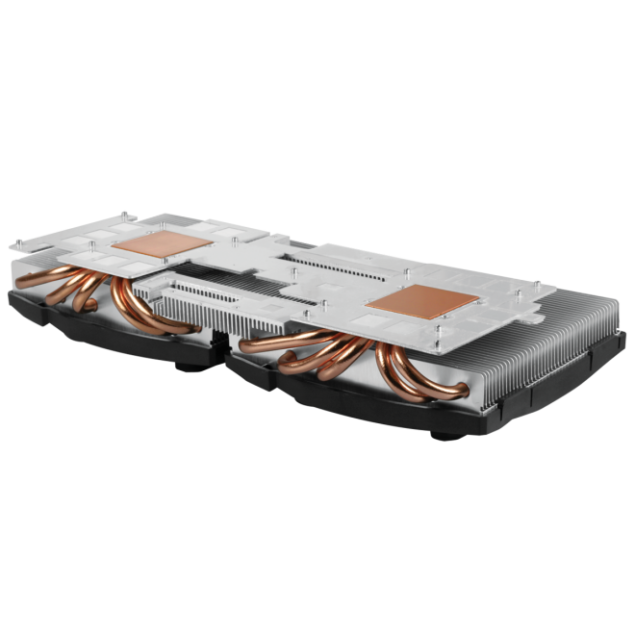 ARCTIC has bundled its much acclaimed MX-4 thermal compound with the package. MRSP is $169.95 US, comes with a 6 Years warranty and launches on 10th September globally. For more information, head over to product page here.